At the low price of $9.95, plus shipping and handling ($3.25), you can’t get a better deal on such valuable content. For more information about CHOOSE!, check this ad in PDF format. 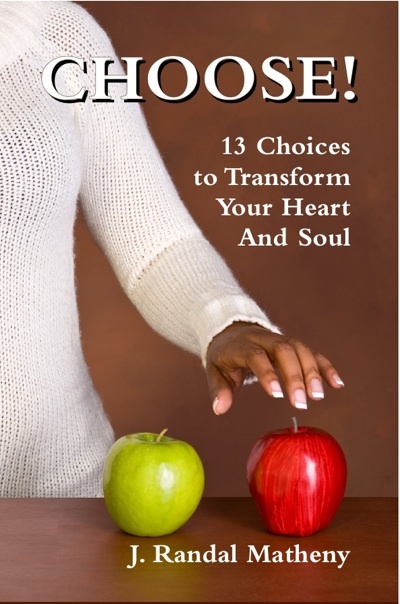 The book is new, released in May, and red-hot with motivation and straight talk about the right choices. To order, send a check made out to Forthright Press LLC for $13.20, to 607 Devine St., Winona, MS 38967. Call (901) 517-7274 for a fast order. Or payment can be made online through PayPal to ba@oliver.net. Be sure to insert your address and purchase choice in the email option on the “Review Your Payment and Send” page.